Im going to spend this weekend in a cottage out west! It's not something we do a lot.. i actually think that last time we did it i was sooo young that the only thing i remember was the spa! 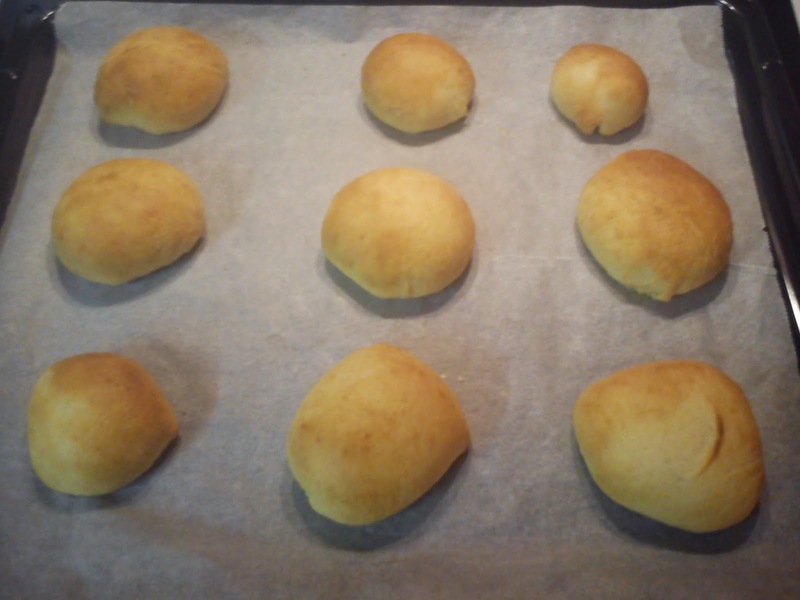 But we are going to celebrate my grandma and grandpa's birthdays and i promised them that i would make them some oldfashion homemade Cream buns (fastelavnsboller) because my mom told me they were really good last time i made them. Warm milk to little fingers warm and dissolve the yeast in it. Add the flour, salt and sugar and knead lightly together. 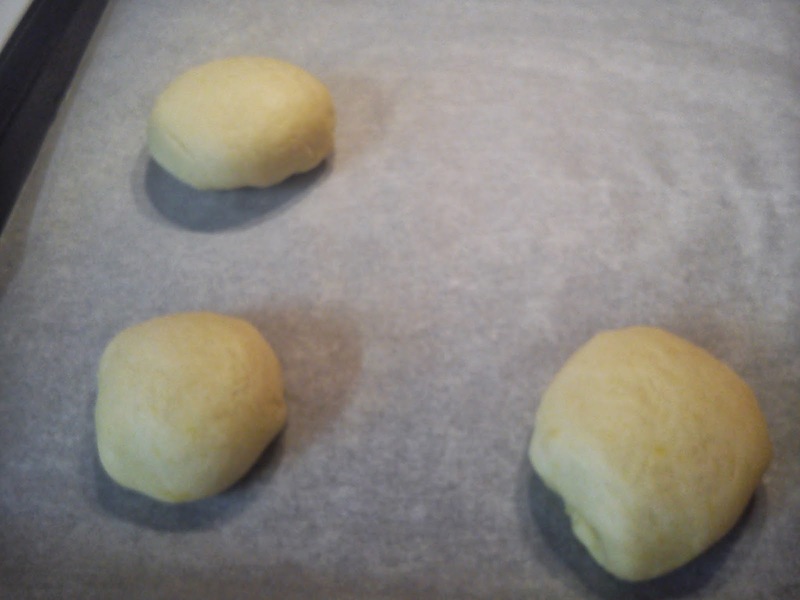 Add eggs and butter and knead the dough for 6-8 minutes. Let the dough rest in a warm place for 1 hour. Make the vanilla cream while waiting. Mix the vanilla and sugar together. Mix milk and flour in a "shaker". Put all the ingredients in a pot and make it boil while stirring. Let the cream boil under medium heat until it is thicker, it takes like 5 minutes. Put the cream in a bowl and when it has evaporated cover with foil which have to touch the cream. Cool the cream in the refrigerator. Whip the cream through with whisk before use. 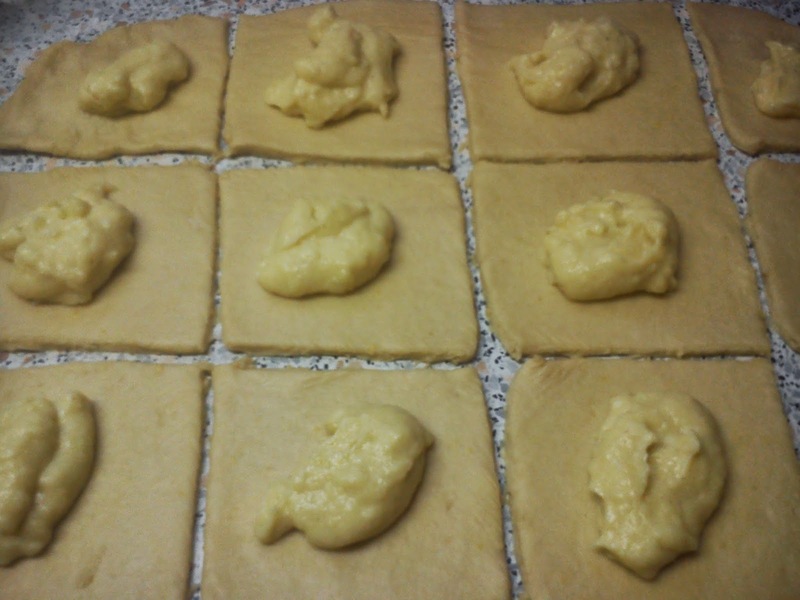 When the dough has rested roll out the dough into a square of 40 × 40 cm and cut the dough into small squares 10 × 10 cm. Spread the vanilla cream on the small squares. Fold the corners toward the center and squeeze them down, get the buns with the assembly down on a baking sheet with baking paper. Leave to rise in a warm place for about 45 minutes. 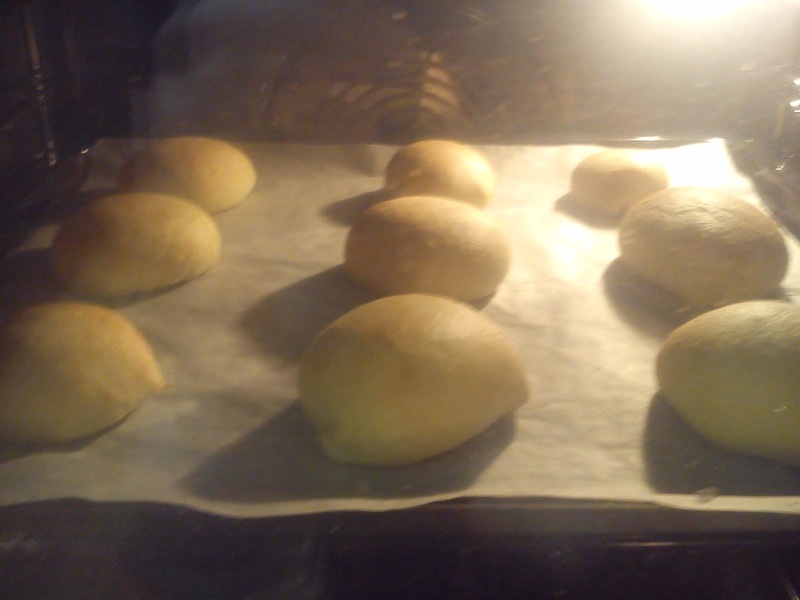 Bake the buns at 200 ˚ C for 12-15 min.